Train travellers across the West Midlands have been warned they face ‘a summer of discontent’ with potential industrial action if London Midland persists with plans to axe 150 jobs. The RMT union threw down the gauntlet with a pledge it would accept no compulsory redundancies – and revealed it would ballot for action if no compromise could be reached. The stakes were raised as the union prepared for a further face-to-face meeting with top London Midland management next week in a bid to protect all the jobs facing the axe. And Birmingham business leaders today stepped in to call for a resolution to the dispute – and warned the job losses could lead to fare dodgers cheating London Midland of crucial revenue. RMT Midlands Regional Organiser Ken Usher said: “We have a policy of not accepting any compulsory job losses and it is a policy that is cast in tablets of stone. We will fight tooth and nail to protect all these jobs. “Unless London Midland change their attitude, there may well be a summer of discontent. If we do go to a ballot, it will be all our members in all grades, including drivers, conductors, etc. “This is not something that we want but these are people who have got a Sword of Damocles hanging over their heads – they do not know where they are going to be a couple of weeks hence. “We hope that we are going to be able to make progress through sensible negotiations but failure to make progress will lead to a breakdown in industrial relations. That is the final tool in our armoury. 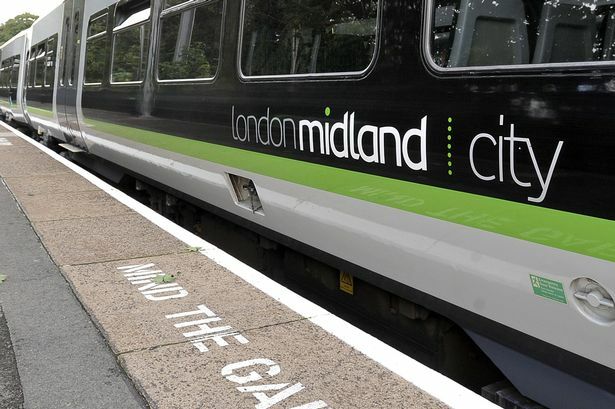 London Midland has said the proposed job losses – which include 75 ticket inspectors and 75 management and administrative posts – were to meet rising costs. But Greater Birmingham Chambers of Commerce spokesman John Lamb said: “Whilst we understand companies have to run as efficiently as possible, this might backfire and result in losses through people who are prepared to dodge fares and cheat the company. In a statement, London Midland managing director Patrick Verwer said: “The service to our passengers will not be affected by the changes.